Just back from the unveiling of the commemorative plaque for Doreen Valiente in Brighton. This is a first for Wicca and Paganism but this was also a historic moment for another reason – it is apparently the first blue plaque to appear on a council block. 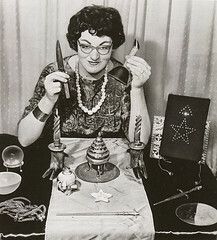 The Doreen Valiente Foundation got their application in in the nick of time- it has recently been announced that English Heritage will stop its blue plaque scheme because government funding cuts have made it impossible for it to continue. The organisation, due to celebrate 150 years of commemorative plaques in London in 2016, has had its funding cut by 34%. Congratulations to the Foundation for organising a great event: drumming and a ceremony on Brighton’s Steine near the sea, a procession to the site, performances from The Pentacle Drummers and Hunters Moon Morris, speeches, the unveiling by the Mayor of Brighton and Julie Belham-Payne amidst cheers, and a party later tonight… What a way to celebrate the solstice this year! Check out the Foundation site for details of their work: a Valiente museum in Brighton is being planned! Click on thumbnails to enlarge. Very pleased to see her commemorated this way! What a truly magnificent day, so grateful to all those involved that made this happen. Nice to know her artefacts are in the hands of the trust, so they will be available for all. I have a few bits |& pieces that i will now consider putting there, when up & running. I think the whole event, well for me anyway was captured by her spirit, another realm. A Privilege to be involved, to see Ralph & Audrey, & John again after so many years.